Day 3 – Ngorongoro Crater Tour Breakfast will be served at your lodge. Board your safari jeep, and with picnic lunch boxes descend down the steep walls of the caldera for game drives along the Ngorongoro Crater Floor. The Ngorongoro Conservation Area (NCA) is a conservation area and a UNESCO World Heritage Site located 180 km west of Arusha in the Crater Highlands area of Tanzania. Ngorongoro Crater, a large volcanic caldera within the area, is recognized as one of the Seven Natural Wonders of Africa. The Ngorongoro Conservation Area spans vast expanses of highland plains, savanna, savanna woodlands and forests. Established in 1959 as a multiple land use area, with wildlife coexisting with semi-nomadic Maasai pastoralists practicing traditional livestock grazing, it includes the spectacular Ngorongoro Crater, the world’s largest caldera. 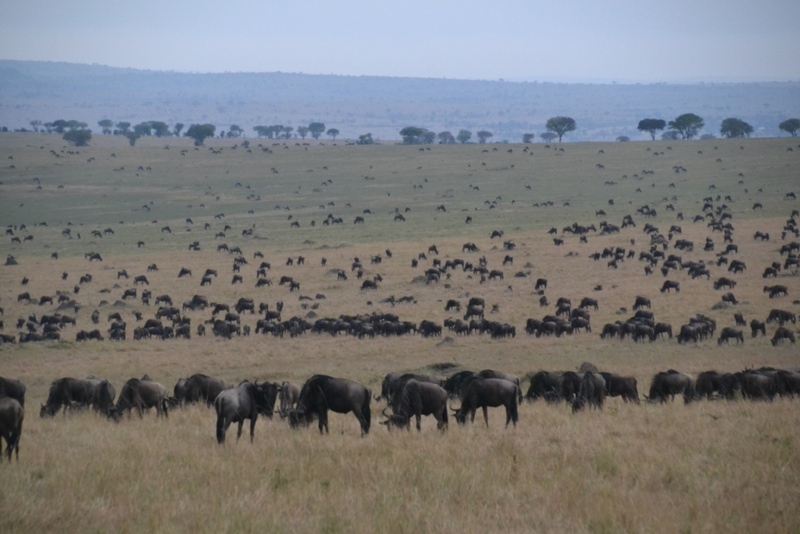 The property has global importance for biodiversity conservation due to the presence of globally threatened species, the density of wildlife inhabiting the area, and the annual migration of wildebeest, zebra, gazelles and other animals into the northern plains. Extensive archaeological research has also yielded a long sequence of evidence of human evolution and human-environment dynamics, including early hominid footprints dating back 3.6 million years. Several animal and bird species are found here. Lions, Elephants, Buffalos, Black Rhinos, Cheetahs, spotted hyenas, Impalas, Gazelles and others may be spotted here. Ascend back to your lodge in the late afternoon with the rest of the day spent relaxing on the Ngorongoro Highlands from the comfort of your lodge. Dinner and overnight stay at The Manor at Ngorongoro – Manor Luxury Cottage (Meals: Breakfast, Lunch, Dinner). Day 5and Day 6 – Serengeti National Park Full days spent in Serengeti either relaxing at your lodge or enjoying game viewing activities in the seemingly endless Serengeti Plains as per your arrangement with your guide. You may agree on game drives at 0630 and 1600 hrs respectively with the rest of the time spent at your luxury lodge, or a near full day of game viewing in the park with packed lunch. (This day, you can also enjoy an early morning Hot Air Balloon Safari over the seemingly endless Serengeti plains, offering you a rare opportunity to view the Serengeti beautiful landscape and wildlife from an eagle’s perspective. This is payable as an extra and must be done in ADVANCE due to limited space). Serengeti derived from the name “Siringet” which means endless plains in Masai Language hosts the Great Plains where the endless streams of wildebeest and zebra pour south towards Ngorongoro or north towards the Masai Mara during their annual migration. The park is home to the BIG 5 and other species including Hyenas, Cheetahs, Caracals, Serval Cats and several bovine species. It is also home to hundreds of bird species including vultures, Eagles and Marabou Storks. Dinner and overnight stay at Four Seasons Serengeti Lodge (Savannah View Rooms). (Meals: Breakfast, Lunch, Dinner). Day 7- Serengeti – Arusha / Kilimanjaro Airport / Departure Breakfast will be served at your lodge. Check out and enjoy en route game viewing as you are transferred to Seronera airstrip for your scheduled flight back to Arusha departing at 1100 hrs. Arrival at Arusha airport at around 1215 hrs where we will meet and transfer you to a hotel for lunch, followed by transfer to Kilimanjaro International Airport in time for your evening or night departure flight to your next destination. End of the 6 Nights 7 Days Ngorongoro Serengeti Deluxe Safari.